magical retreat to the country side. 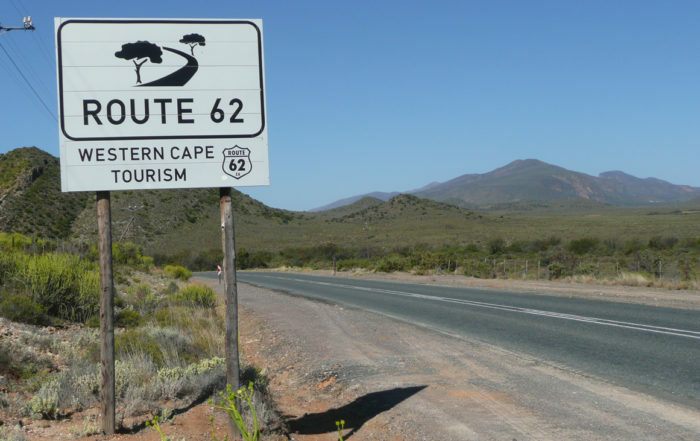 Come and relax, unwind and absorb the magnificent beauty of the Klein Karoo. than at Swartberg Country Manor. 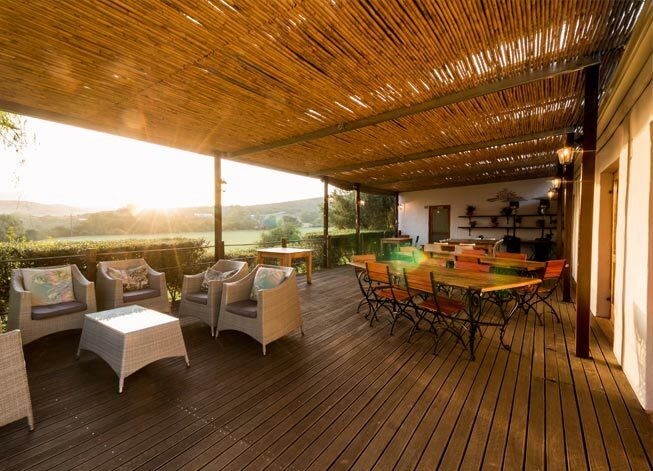 Spend time enjoying a relaxed picnic complemented by breathtaking panoramic views of the Swartberg mountains. click away from becoming a reality. Experience the magic of saying “I do” at Swartberg Country Manor. 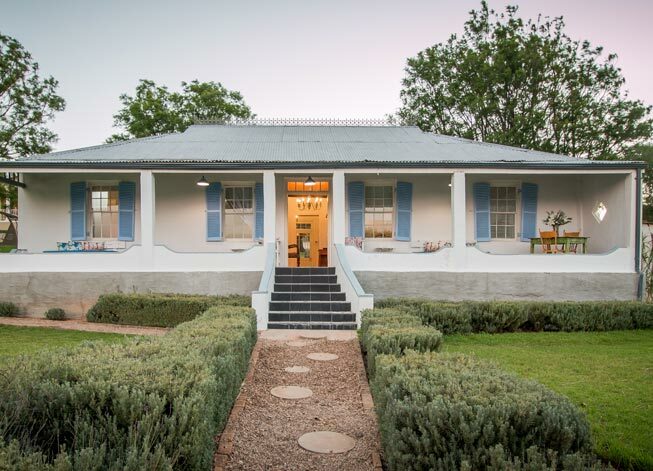 As an endearing home away from home, our desire is that our guests encounter a timeless escape amidst an impressive landscape that features the tallest mountains in the Western Cape. Enjoy a tranquil escape from busy life in an area of unspoiled natural beauty. 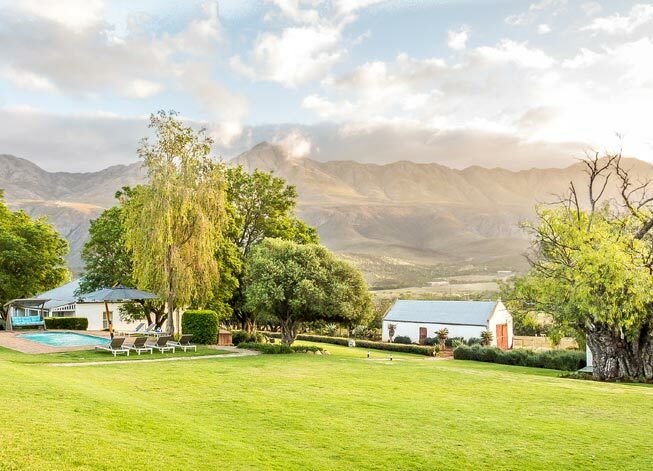 Swartberg Country Manor is nestled on the farm “Voorbedacht” situated in the Cango Valley at the foot of the world-renowned Swartberg Mountain Pass. The picturesque Swartberg Mountains will bring comfort to anyone that wants to “get away from it all” and simply soak up the peace of its tranquil surroundings. 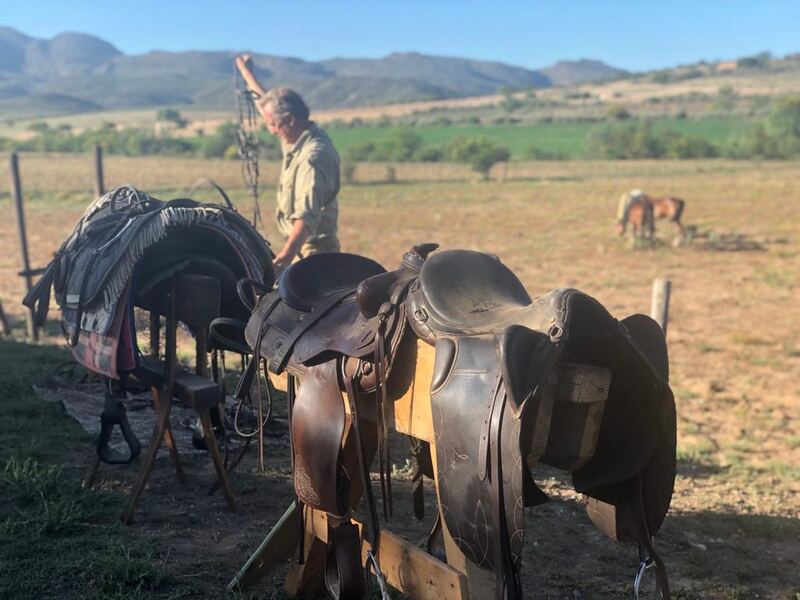 The extraordinary panoramic views of the Swartberg Mountains from the veranda of the original farmhouse compelled us to create a venue where more people could share in the tranquillity and serenity of this beautiful valley. For cycling and walking fans, numerous trails run from the manor, from gentle, leisurely excursions, to more rugged terrain. The slopes of the mountains reveal a richness of flora and fauna, a pleasure to see in any season. Offering understated elegance for 20 to 120 guests, we’ll plan the perfect event for you, helping create memories that will be fondly remembered for years to come. 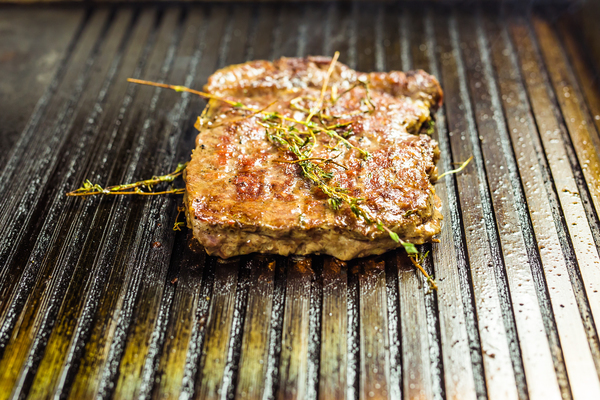 Local ingredients are at the forefront of our dishes and we look forward to having you sample our traditional South African country fare, with a twist, at our homely yet stylish restaurant. 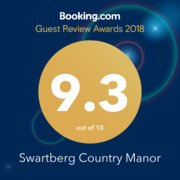 Hi…we are from Mauritius, of all the places we have visited in South Africa, Swartberg Country Manor was the most memorable….Great food, great accomodation and warm welcome! We will definitely revisit. And highly recommend the place with a breathtaking view! 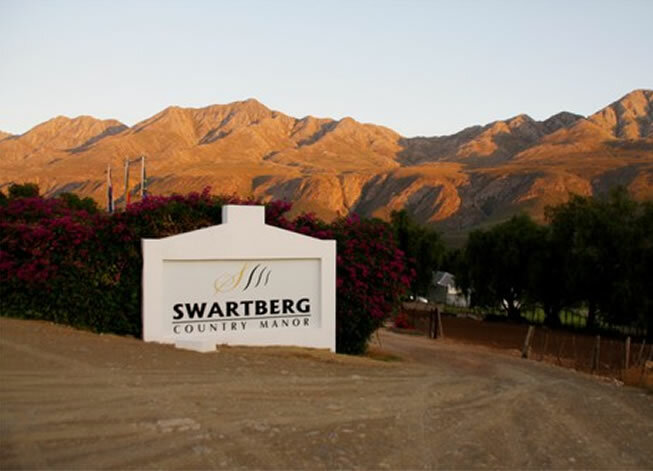 Swartberg Country Manor is uniquely situated against the mountains of Swartberg. The scenery is really awesome and breathtaking! Even more important, we experienced an unbelievable hospitality of both Riaan’s leading the Manor, which really made us feel “home away from home” as they both want it to be! There is an incredible atmosphere of tranquility and friendship. In the restaurant ‘Patat’ one can enjoy delicious local food (eg. The Ostrich was simply irresistible!). A “must do” activity which they kindly offer is the downhill mountainbiking of the famous Swartenbergpass! We already miss this hidden gem and heaven on earth! This boutique manor is amazing. We stayed in the ‘shepherds hut’ adjoining the ostrich field. The view from our room/balcony was world class. The ostriches were a lovely bonus. The room was fabulous. We had a really great stay – great location – great food – great staff- we were given a friendly welcome with staff who took care in making us feel welcome. This is a rustic hotel in a fab location on the Swartberg Pass although 30Km outside town it’s not a problem as is served by an excellent restaurant.Staff very attentive and the views on the terrace for breakfast are wonderful.Perfect location for exploring the local attractions.We would recommend.